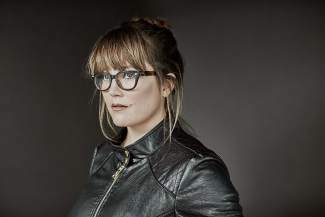 Sara Watkins, of acclaimed bluegrass band Nickel Creek, will play the Vail Summer Bluegrass Series on Wednesday, July 13, with opener Lonesome Days. The show comes at the start of Watkinsâ U.S. tour in support of her new solo record, âYoung in All the Wrong Ways,â which was released on July 1. âThis is a breakup album with myself,â Watkins said. Writing and recording the 10 intensely soul-baring songs was a means for her to process and mark the past couple of years, which have been transformative. âI looked around and realized that, in many ways, I wasnât who or where I wanted to be.â The show is free and starts at 6 p.m. at The Arrabelle at Vail Square. More information can be found at www.facebook.com/vailbluegrass. Sara Watkins, of acclaimed bluegrass band Nickel Creek, will play the Vail Summer Bluegrass Series on Wednesday, July 13, with opener Lonesome Days. The show comes at the start of Watkins’ U.S. tour in support of her new solo record, “Young in All the Wrong Ways,” which was released on July 1. “This is a breakup album with myself,” Watkins said. Writing and recording the 10 intensely soul-baring songs was a means for her to process and mark the past couple of years, which have been transformative. “I looked around and realized that, in many ways, I wasn’t who or where I wanted to be.” The show is free and starts at 6 p.m. at The Arrabelle at Vail Square. More information can be found at http://www.facebook.com/vailbluegrass.